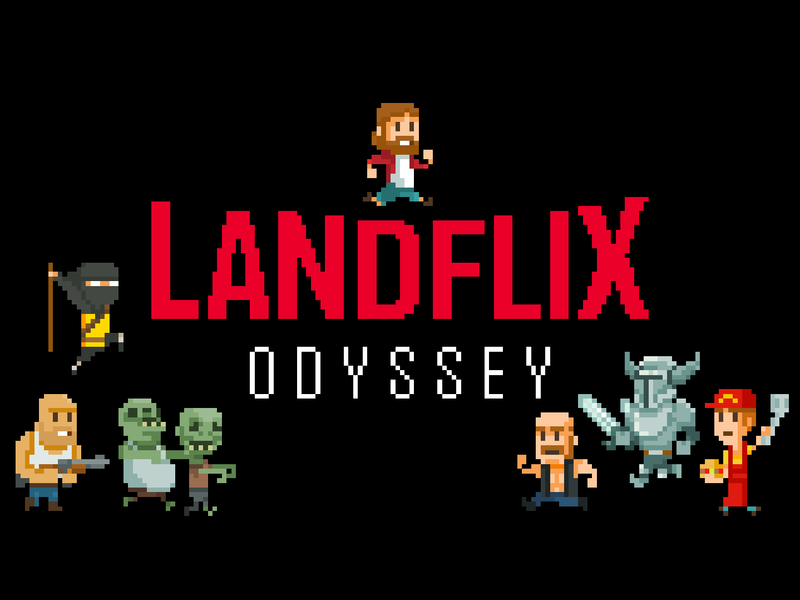 Today we want to talk a bit about Landflix's 4th world, Going Mad. As soon as you enter this world you and Walter White will be chased by the mexican cartel, which is trying to stop his drug business. You'll jump in Walter's camper and start a crazy drive through the desert to escape your chasers. The world's mid boss will be Victor Salamandra (Our version of Hector Salamanca). This evil old grandpa will be tougher than he looks, and Larry will have to use all his skills to defeat him! The last boss of the world will be the scarred Gusteau Fringes, the evil manager of the Pavos Hermanos fast food. He and his fast food gang will try to defeat Larry to use one of the nuclear batteries to make the perfect drug. Fun fact: the scar on his face comes from him falling face down in a frying machine. It was an embarassing yet tragic incident. So what do you guys think of Landflix's 4th world? Let us know in the comments and give us your feedback!